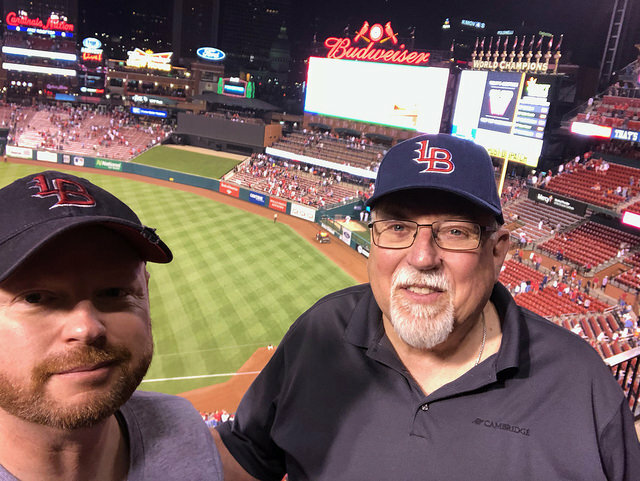 Busch Stadium-St. Louis, MO: After a crazy day and long drive, we finally arrived in St. Louis! 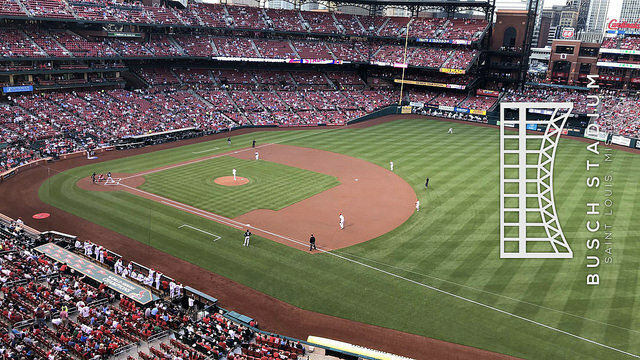 Busch Stadium is a great place to watch a ballgame, but boy was it expensive. Lucky for us I got really cheap seats off Seat Geek, but every other expense really took it’s toll. We had some pretty decent seats, though, we were up high but in the front row so we had a great view of all of the action, and able to see the beautiful ballpark. The game itself was a great one. 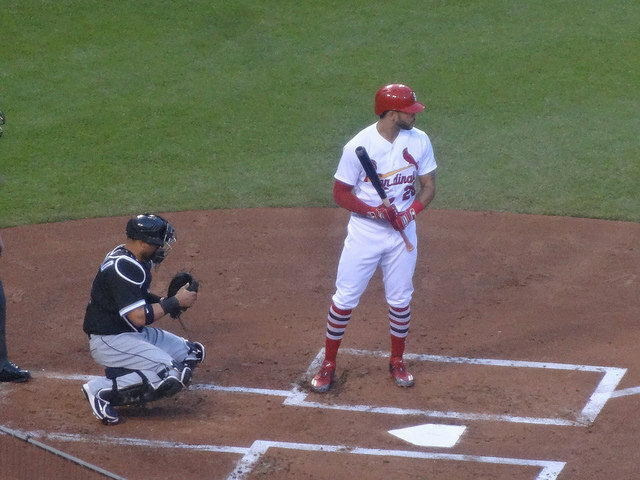 The Cardinals took the lead with a Tommy Pham home run, but later lost the lead. 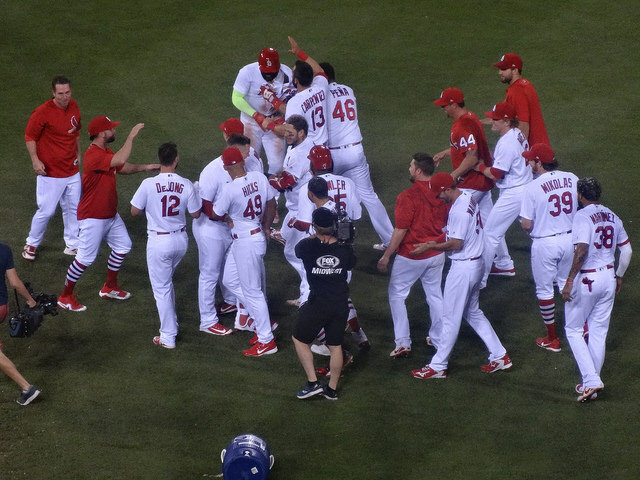 Down 2-1 in the ninth, Matt Carpenter hit a home run to tie the game, then Yadir Molina’s base hit knocked in the winning run for a walk off. Yadi was 2-4 on the day, and I can really see why Cardinal fans love this guy so much. On he mound, Michael Wacha got the start, going five innings, giving up two runs on five hits, and striking out three. Bud Norris would earn he win in relief, pitching one scoreless inning. A fun game with a great crowd. Over 38,000 in attendance for a weekday game, and we were all treated to a walk off win. 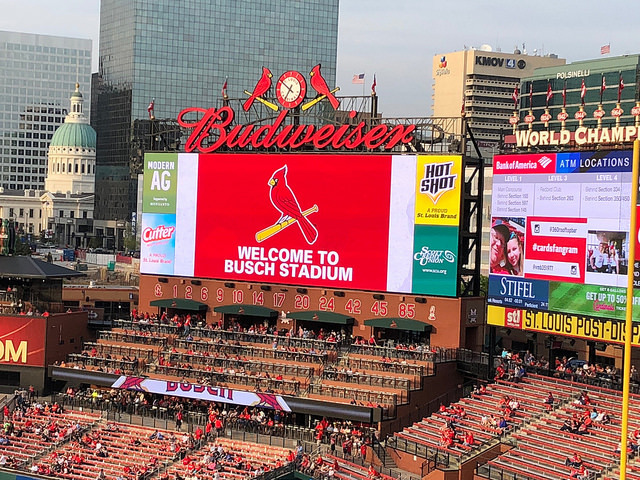 We would be back at Busch for a day game the next morning.